Carrie Hargrove and her fellow urban farmers are busy putting up the season's harvest. 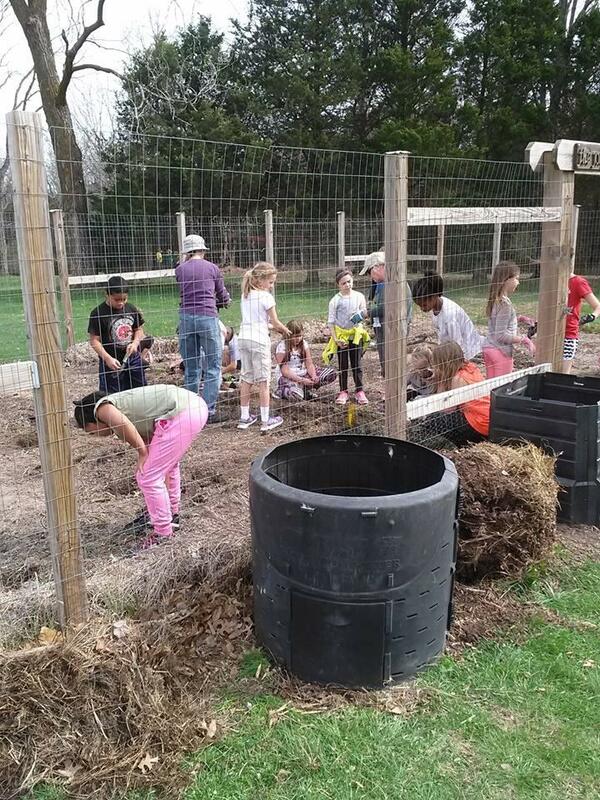 On this installment of Farm Your Yard, she shares her tips for preserving vegetables and lessons learned in six years of the Opportunity Garden program. Carrie Hargrove serves up the benefits of food preservation on a recent Farm Your Yard. Apples, tomatoes and cabbage are some of the produce that you can preserve for later. 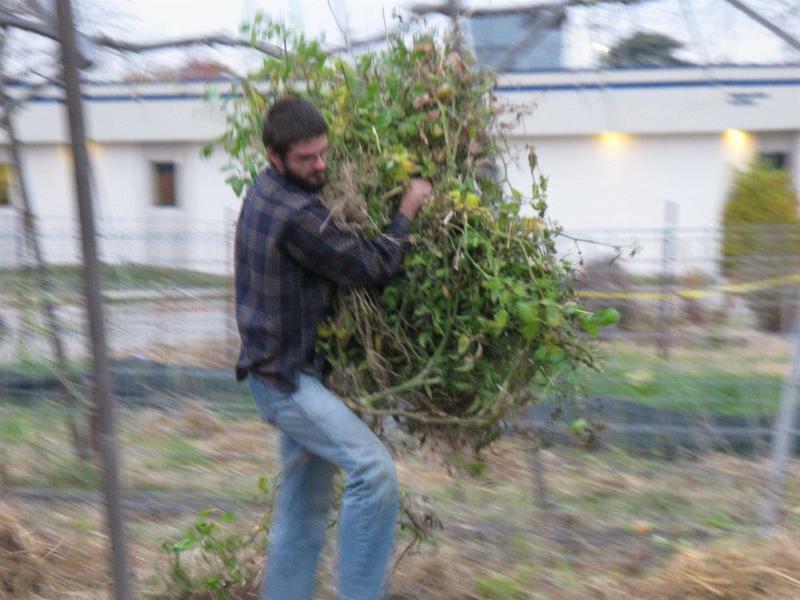 Learn more on this installment of KBIA's Farm Your Yard. Through the Opportunity Gardens Program, Columbia Center for Urban Agriculture staff offer gardening supplies and garden mentoring to families with low incomes. When the original idea for the program was hatched, we were so excited to be able to connect lots of people with gardens that produce delicious and healthy veggies. Fast forward six years, and we have learned a lots of things about gardening with people of all ages, form many countries, and with a wide variety of backgrounds. We have learned gardening tricks from farmers from Burundi, we’ve learned what veggies are great for containers and which aren’t; and we have definitely learned that despite its robust popularity as of late, many people, in fact, do not know what to do with kale. This last one - the fact that the act of gardening in and of itself does not automatically translate to recipes ideas and culinary skills - has had a big effect on our organization and our educational programming. 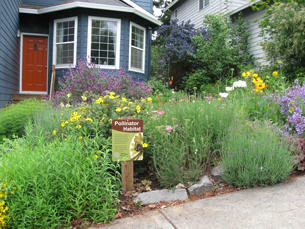 Personally, I fell into gardening after I first learned to cook and to appreciate fresh food. But if you come at gardening from the other way, learning of good ways to use leeks, beets, or kohlrabi might not be initially obvious. That’s why we have started doing cooking demonstrations, offering recipe cards, and finding other ways to encourage folks to utilize all of the beautiful bounty of their harvests. Because a veggie garden is not there just to look pretty, it is purely utilitarian, and you will be doing yourself a favor to put all of those nutrients to good use. It’s fall, it’s beautiful out, it is my favorite time of year, and what better time to talk about food preservation than right now? When people think of fall they think of pumpkins and general harvest themes. Thanksgiving, cornucopias, and apple cider come to mind. When you have a robust vegetable garden the harvest season, really, is from May through October. A good vegetable gardener is harvesting from their garden all of the time. So that means the real harvest season is like six months long. That is a lot of time to try your hand out at some new and fun recipes, and possibly get some food preserving in. In my backyard garden, I grow lots and lots of paste tomatoes. These are the Roma-shaped tomatoes that don’t have a lot of juice, so are good for making sauces. We plant so may because I get a kick out of canning, and the paste tomatoes are the best for canning. Food that is canned can be stored at normal room temperature, and preferably in the dark for many months. My husband and I enjoy canning tomatoes, peaches, berries, peppers, and apples every year. In the wintertime it I find it so satisfying to go into our pantry, pick up some homemade applesauce and go to town. Another way to preserve the harvest is to ferment foods. Kind of like very controlled decomposition, that makes a lot of veggies taste great and provides your gut with good bacteria. Traditional dill pickles are fermented cucumbers. Same with half sour pickles. Most of the pickles you can buy in the grocery store are not fermented; they are essentially canned in vinegar to give them that tangy crunch. Fermented pickles taste very different than ones bought nowadays in the store, but are delicious in their own way. Cabbage- think sauerkraut and kim chi is another easy vegetable to ferment. Fermenting is pretty easy, in essence you place the vegetable in a salt water solution - called a brine - along with spices of your choice, inside an air tight glass or ceramic container and let sit at room temperature of anywhere from three days to two weeks depending on what you are making. My husband and I ferment things in glass jars with the screw to lids. Every day, we “burp” the jar, opening up the jar to release pressure from the process of fermentation. And viola, you have sauerkraut. Or traditional dill pickles, or Kim Chi. The other way my husband and I preserve our harvest for the long grey winter days ahead is by dehydrating things. We mostly do this with herbs from our herb garden, but in years when the two apple trees in our backyard were really pumping them out, we also dried apples. Probably the most exciting thing I have done with our dehydrator is make homemade fruit roll ups. 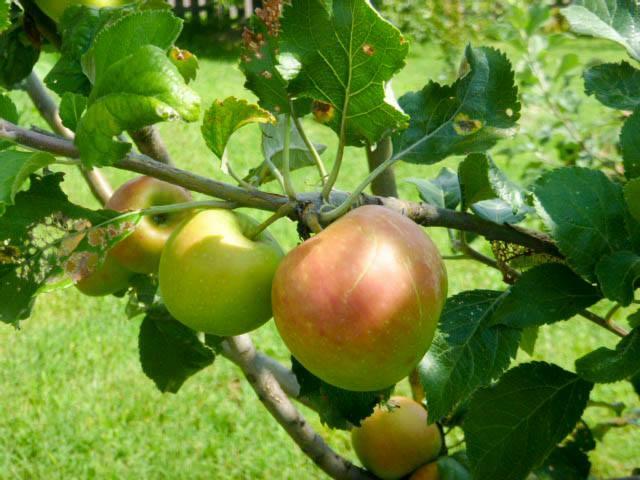 Every other year our apple trees just rain apples - this is one of those years by the way, I am up to 25 quarts and counting of canned apples - and in 2014 we made so much applesauce that we started spreading the sauce on the dehydrator trays. Fast forward several hours and you get this sticky sheet of pure apple heaven. After that, I can understand why those organic fruit leathers are so expensive: it takes a lot of time and fruit to make those. But they sure taste good. Preserving food and cooking homemade meals from scratch takes time, I get that. But for me, that is a way I want to spend my time- maybe not every day, but on many days. Good food brings people together. And coming together over a meal that has personal value- something that came from your own hard work is special. In a day in age when gathering spaces are more commonly are found in social networks online, I don’t think I am crazy to suggest that sharing a good, home-cooked meal with loved ones would do us a lot of good. Moms, when else do you have your pre-teen cornered to talk about their day but at dinner? What about you, young professional who is newly married? When is a better time to catch up with your spouse but over a good meal? Eating is so much more than food products like Soylent- which is something that goes against every fiber of my belief system- eating should be connecting with family and friends, the great outdoors, plants, bugs. I mean, eating is one of the few things that we all do every day. Everyone eats, and we at CCUA just happen to think that everyone should also eat veggies from their backyard gardens. For the last seven years, I have spent a lot of time with rotting food. I could tell you some things that would surprise you about the decomposition of different things. For example, avocado skins just don’t break down. Neither do egg shells. Fur really doesn’t go anywhere either. And while it takes a long time to break down, bread from Panera will turn blue as it does- lots of preservatives in that one. Long-time growers know that big tomatoes and plump berries come - in part - from building up your garden's soil. Carrie Hargrove takes the long view of dirt on this installment of Farm Your yard, an occasional report from the rows of the Columbia Center for Urban Agriculture's Urban Farm. A couple of years ago I was harvesting mustard greens at the small urban farm where I work. I like to work steadily and efficiently, but there was something that totally derailed my task that day. Stuck to one of the leaves was a monarch butterfly chrysalis. Have you ever seen something like that? Self-described bug nerd Carrie Hargrove has pollinators on the brain on this installment of the occasional KBIA series, Farm Your Yard.